Unmasking Africa promotes a greater appreciation for contemporary African art and design and a better understanding of the traditions they stem from. The Unmasking Africa initiative expands the outlook on African art and design by offering a series of workshops with various topics or "spotlights" including artists, techniques and materials. Attendees are able to learn about contemporary African artists and create their own works in a similar style. With a limited number of attendees, these intimate workshops are a space open to discussion and offer a memorable experience. Being from Lusaka, Zambia and having lived in the U.S., Tunisia, and Egypt have given me a global perspective and openness to different cultures. 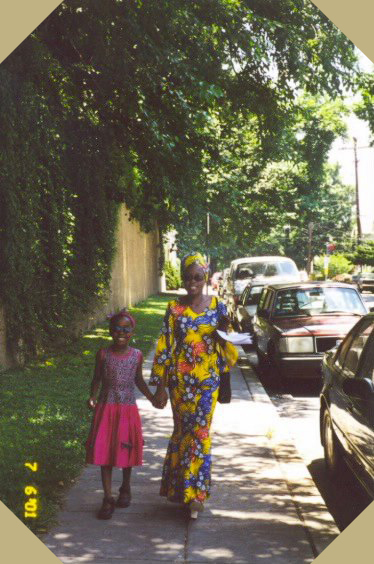 Growing up abroad, staying close to my culture has been an important part of my life from an early age. However, as I evaluate the future opportunities of my artistic career, it is evident that there are certain obstacles facing contemporary African artists and designers due to the lack of cultural understanding and representation in the Western art world. I believe that a project of this nature will highlight the wide range of artistic styles coming from the region, change preconceived ideas of what African art is or has to be and in turn change people's perspective on the region as a whole.